We are coming into the holiday season, which means that lots of people will be getting engaged soon. If you plan to propose soon or believe your partner may be, I want you to take a second to consider if this is the right fit for you, or even the right time. In a time period where the divorce rate for first marriages is 50% and rising, you want to make sure you are making the right decision for both of you. As someone who works with a lot of couples in many different stages of relationships (dating, engaged, married, divorcing), I meet a lot of couples who rushed into marriage without understanding the commitment they were making. My hope with today’s blog is to call out some of the reasons people justify rushing into marriage, and debunk some of the myths with proposing. Congrats! So what exactly is a “while”? Is a while a few months? A year? 2 years? How do you know how long you should wait? According to Psychology Today, dating 1-2 years at a minimum drops the likelihood of divorce down significantly (about 20%). Dating 3 years or more cuts the divorce rate in half (about 50%). Why is this? The more time you spend with someone, the more you really get to know them. It takes about 2 full years to really get to know someone, quirks and all. After 2 years, there is no pretending anymore. You know whether or not the other person is genuine. If after 2 years you still envision a future with this person, by all means, propose. I hear couples say this a lot: “Well, we’ve been dating for a while, so this is just the next natural step”. I don’t know about you, but I don’t want someone to marry me just because it is the next step. It makes it sound like it’s a checklist. Dating, check. Engaged, check. Marriage, check. House, check. Dog, check. Kids, check. You get the picture. Don’t propose to your partner because you’re bored and it’s the next step. If you are not excited about this person, if they don’t rock your world, don’t propose (or accept the proposal). Don’t just marry someone to complete a checklist. If you’ve had big problems in the past, and they have been ignored, swept under the rug, or cast aside, do NOT propose (or accept a proposal). You are kidding yourself if you think these issues won’t come up later. Marriage is HARD. If you can’t communicate well before you are married, it’s not going to get better because you both said some vows and made a commitment. Many people go into marriage thinking it will just fix everything. Unfortunately, they quickly learn that marriage isn’t a slate that gets wiped clean on the wedding day. Every problem that was there before comes back with a vengeance. It’s important that you both understand the importance of addressing issues prior to proposing. Did you know that the age you are at marriage can impact your likelihood of divorce? For example, if a person marries at 21 years old versus 25 years old, their divorce rate doubles, according to Drs. Les and Leslie Parrott. Why is this? The older you are, the more you know yourself and what you want. You also have more life experience and wisdom to decipher whether a relationship is healthy or unhealthy. In addition, the prefrontal cortex, which is the logical, rational, decision-making part of your brain, develops until you are 25. So marrying under 25 means you’re marrying with your brain not fully developed. There is a lot of maturation that happens in your early 20’s. So slow down, because you do have time. It’s important to find Mr. or Mrs. “RIGHT”, not Mr. or Mrs. “RIGHT NOW”. Find the person you can do life with, and don’t force someone to fit who doesn’t. Again, I wouldn’t want to marry someone who thinks I’m “good enough”. When you propose, you are asking someone to spend the rest of their life with you, and vice versa. If this person isn’t your best friend, doesn’t make your heart flutter (every once in a while), and you don’t work well as a team—don’t propose! Take time to find someone who you love for all the right reasons. Marriage is already hard enough, without adding additional and unnecessary stressors on top of it. Many of the above-mentioned reasons not to propose are fixable. 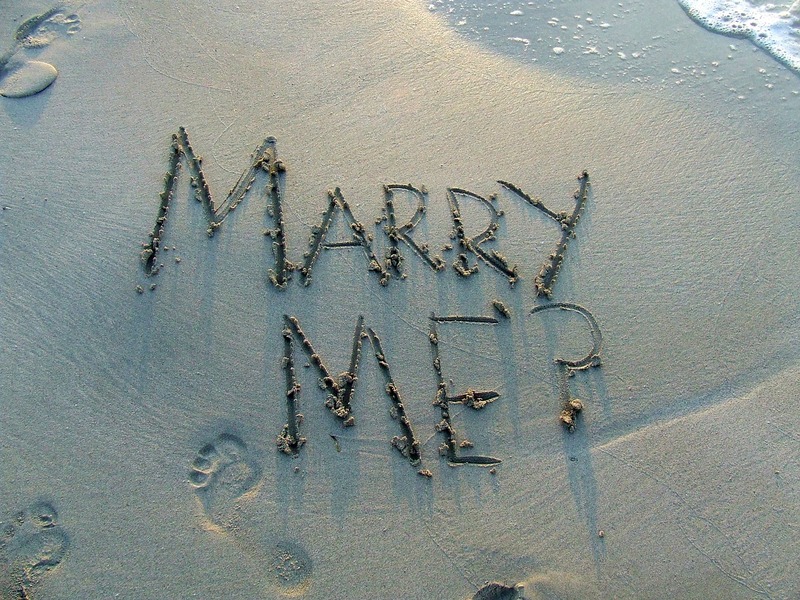 So before you propose, please consider some Pre-Engagement Counseling (yes, it’s a thing). According to Dr. Les Parrott., 41% of divorced couples blame a lack of marriage prep for the reason why they divorced. One of the best things you can do for your relationship is to seek help and to make sure things are smooth and good before you ever get engaged. So when you do propose, you know you both are in a great place and can start your marriage off on a great foot. One of the best assessments for Pre-Engagement Counseling and Premarital Counseling is to use a tool developed by Drs. Les and Leslie Parrott called SYMBIS (Saving Your Marriage Before it Starts). This online assessment is very thorough and helps identify “caution flags” in your relationship—areas that need to be further explored and addressed. This is by far my favorite evaluation to utilize when working with couples who are considering marriage. Of course, there is always a possibility that some of the issues and problems between you and your partner may not be resolvable. If this is the case, I would much rather see you and your partner figure this out before you propose, versus after the fact. While it may hurt, and the relationship may dissolve, it may also mean that the two of you are not meant to be married. In closing, don’t ignore the red flags you see.